Looking for a lighter Thanksgiving dessert that happens to be gluten and dairy free? 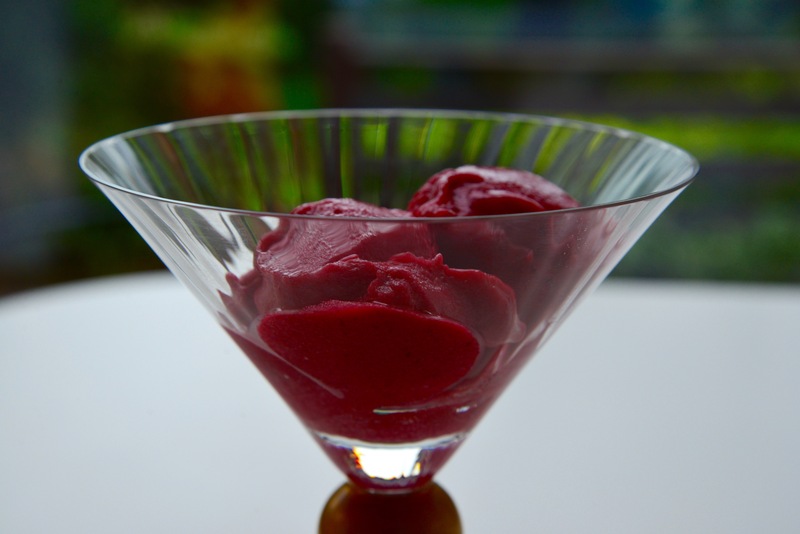 Here is a tart and refreshing cranberry sorbet – very easy to make and perfect with a slice of pumpkin cake. It would also make a delightful Christmas dinner palate cleanser. As well as being delicious and vibrantly colored, cranberries are packed with disease-fighting antioxidants. There’s something to be thankful for! Place the cranberries, sugar, salt and water in a large pot that can go on the hob. Slice the vanilla bean in half and scrape the seeds into the mixture, then add the beans as well. Bring to the boil, stirring well to dissolve the sugar, then simmer for about 10 minutes until the cranberries have popped. Cool to room temperature and remove the vanilla beans. Puree the mixture in a blender or food processor. Add the lemon juice and taste – if it is too tart add a touch more sugar. Place a fine sieve over a bowl and pour the cranberry pulp into the sieve. Strain well, rubbing the pulp through the sieve with a spoon. Discard the remaining pulp. Chill the mixture in the refrigerator for at least one hour. Switch on your ice cream machine and pour in the fruit mixture. Churn until the sorbet is firm enough to serve, about 25 minutes. Serve immediately or freeze in a plastic container. With Thanksgiving just around the corner, I have been busy testing some new dessert ideas. I have not yet managed to produce a gluten and dairy free pie that meets my family’s approval – maybe next year? – but fortunately this Pumpkin Cake was judged a winner and I will be baking it again on Thursday. 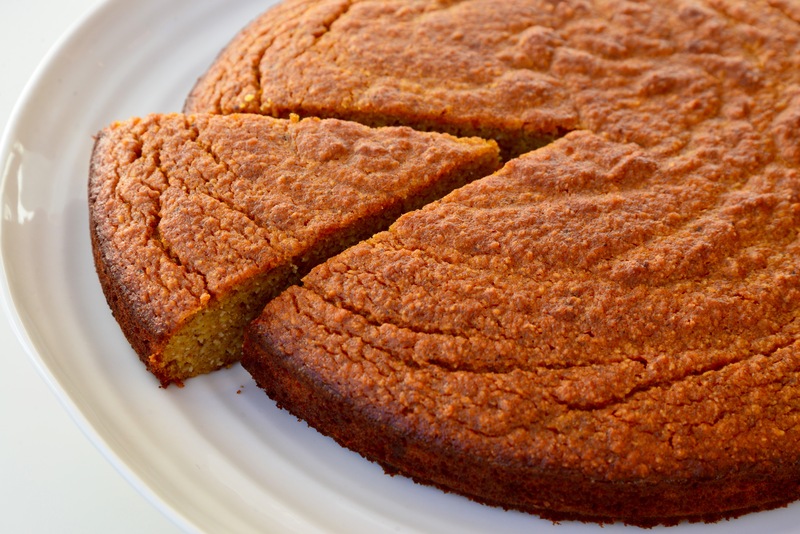 It is a moist almond-based cake with no gluten or dairy, but plenty of spiced pumpkin flavor. It would pair well with vanilla ice cream (try Booja Booja for a good non-dairy version, or make your own), although I am thinking of making some cranberry sorbet to eat alongside the cake. I also recommend my Cranberry Amaretti for Thanksgiving or, for a dessert with no refined sugar, my Spiced Pumpkin Mousse Pots. On a plate or cutting board, mash up the bananas into chunks using a fork. Scrape into a bowl, add the pumpkin puree and blend in the sugar until smooth (I use my handheld mixer to do this). In another bowl, whisk the eggs until frothy. Pour into to the banana/pumpkin mixture, and mix well. Fold the ground almonds, spices and baking powder into the batter, then pour the batter into a 23cm springform cake pan, lined and greased (I used ghee but you could also use a bit of oil). Bake for one hour. Cool on a rack, then remove from the tin. Holidays can be such a challenge when catering for special diets, and Thanksgiving is no exception. I started early this year testing some new Thanksgiving dessert ideas and came up with these Spiced Pumpkin Mousse Pots, which were a a big hit with my testers. I thought I would put the recipe up early as these would also make a fantastic addition to a Halloween-themed party. Pumpkin is the ultimate autumnal food and I love cooking with pumpkin at this time of year. Pumpkin is particularly rich in vitamin A which aids vision, especially in dim light – definitely a good thing as the days get shorter! 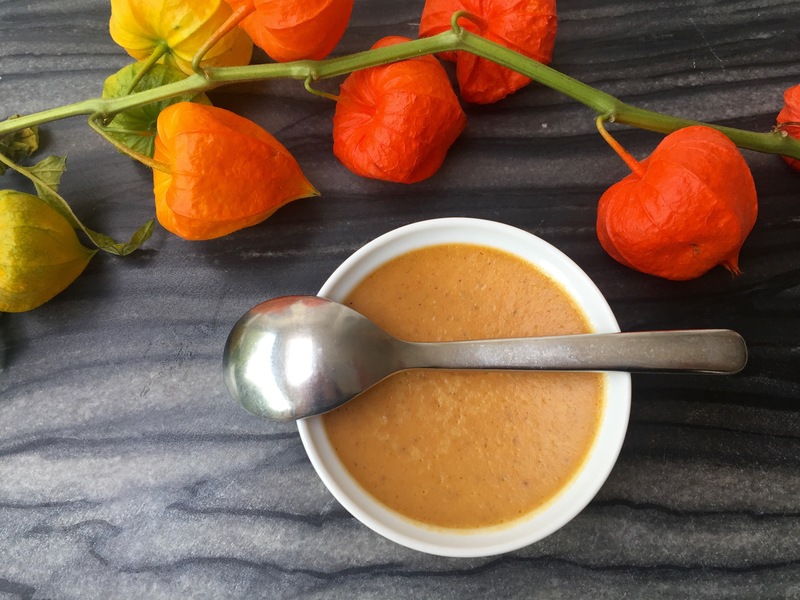 I used pumpkin puree from the supermarket in my recipe to keep these pumpkin pots quick and easy, but if you fancy a project you can make your own. My recipe is adapted from Michelle Tam’s Paleo Pumpkin, Coconut & Maple Custard Cups. 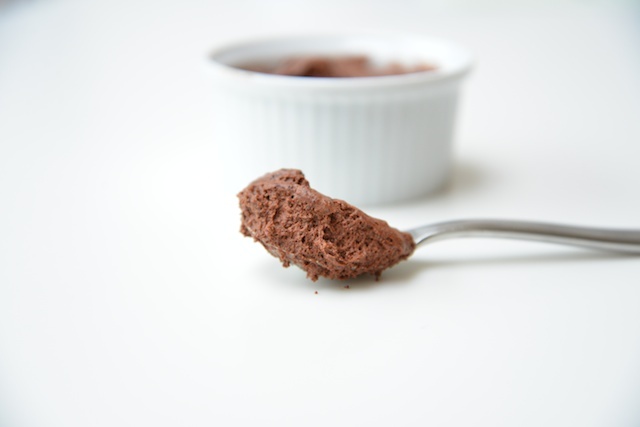 I love Michelle’s blog Nom Nom Paleo, and she also has a great app and cookbook. Do check it out if you are interested in Paleo cooking, and most of her recipes are also GAPS-friendly. Makes 6-10 pots, depending on the size of your ramekins. Preheat your oven to 170 C and boil a full kettle of water. Heat the coconut milk in a pan over low heat on the hob, until warm but not boiling. Whisk the eggs and maple syrup together in a large bowl. Very gradually add the warm coconut milk while continuing to whisk. Add the remaining ingredients and stir until well-blended. Place your ramekins in a baking dish, and fill the ramekins with batter. Just before placing the baking dish in the oven, pour enough boiling water into the dish to reach about halfway up the ramekins. Bake for 45 minutes, then cool on a rack for 1 hour. These can be enjoyed at room temperature or chilled, and will keep for up to 3 days on the refrigerator. 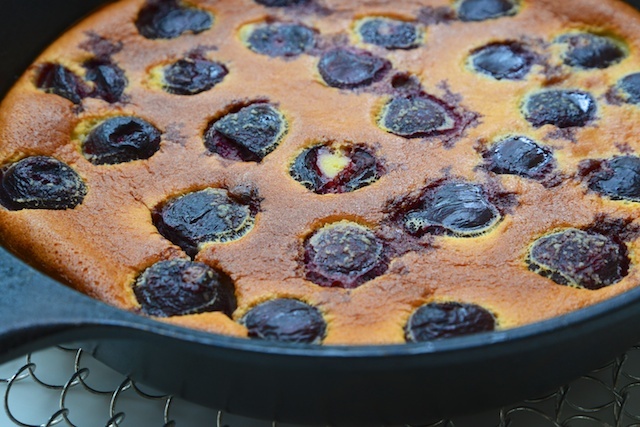 Over the past few weeks, the internet has been simply awash in recipes for cherry clafoutis. Yes, I realize it is cherry season. I too have been enjoying the sweet and plentiful cherries at the market and in my local shops. But I had not made clafoutis in nearly a decade, since I stopped baking with gluten and dairy. Finally, the other day after the umpteenth clafoutis recipe popped on my screen, I decided it simply must be possible to make a tasty gluten and dairy free version. And since the cherries I had to hand were very sweet, I had a go at making it free of refined sugar as well. Let me know what you think! Grease your pan with a bit of coconut oil or ghee (I used a 26 cm cast iron skillet), and place the pitted cherries in a single layer in the pan. Combine the remaining ingredients in a food processor or blender and blitz to obtain a batter-like consistency. Pour over the cherries, and bake for 45 minutes. Cool for at least 15 minutes, then serve warm or at room temperature.